Nick: On today’s special segment, we have David Brown. David, can you tell me a story about a startup that you decided not to invest in, why is was that you passed, and what you learned that now informs your approach? David: That’s a hard question, because unfortunately at TechStars….you know, we get twelve to fifteen thousand applications a year and we’re only able to invest in a hundred. So the rate of acceptance, the rate of investment is one percent. And so it’s not that the ones that we pass on are necessarily bad ideas, it’s just we can only pick a few and we’ll give feedback to those that aren’t great investments. But really, it’s not about saying “No” it’s just, can’t say yes to everybody. Nick: Yeah, sure. Are there certain key variables that seem to come up more often than others that sort of lead to a pass? David: Yeah, I mean, our criteria, only half-jokingly, there are six criteria that are team, team, team, market, progress, idea. So team, team, team is this idea that nothing matters more than the people. So it’s our strong belief that great people with mediocre ideas are much more likely to be success than mediocre people with great ideas. So team, team, and team matters more than anything else, really, as much as everything else put together. You know, market is this notion that “Are you going after something big?” or if you’re really, really successful, at most you’re only gonna get five customers. Unless those are multimillion dollar customers, it’s not likely to be a large market. Progress is the ability to get stuff done and you move to A to B over a period of time, or have you and your cofounder had this great idea for a startup for five years, you don’t have a product, you don’t have a customer, you don’t even have a website, then you sort of fail the progress. Then idea is sort of deliberately last. Because a lot companies that come through TechStars wind up pivoting and we don’t want to lock in too much the idea at top criteria then that is natural human tendency to think about the idea. Nick: Speaking of progress, we recently had Steve Blank on the program, and he talked about how he sort of puts these early startups into a cohort before an investment, and monitors their progress over time before decided to make an investment. I’m kinda curious about some of the startups that don’t make the cut at TechStars, do you ever make a note of some that have tremendous potential but for some reason they may not be in the right place for the upcoming cohort and do you track their progress and then take another pass at them for the next round? David: Yeah, we do. And I say there are two ways of answering that question. So the first is we do absolutely keep in touch, and there’s a lot of stories of companies that applies two or even three times before they’ve gotten in. they just weren’t ready the first time around, and we said “Go show some progress and come back.” And they go away, they show progress and they come back and we accept them into a subsequent cohort. So that happens a lot. The second thing that happens a lot is that sometimes the companies that apply to TechStars location one is more applicable to TechStars location two, so maybe they’re in a certian vertical and—say with one of our partners like Disney, or Barclay, or Sprint or whatever and so we recommend that they apply to a different type of TechStars, so a different location TechStars, so that happens. And I guess the third point I want to make is really…we are doing what you describe in that we’re making a modest investment through our fund. We continue and do follow-on investments and some of the companies that have been through TechStars, you know, after they’ve proven themselves. 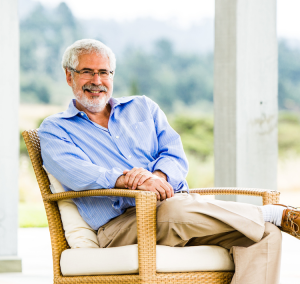 Nick: For today’s investor’s story segment, we have Steve Blank. 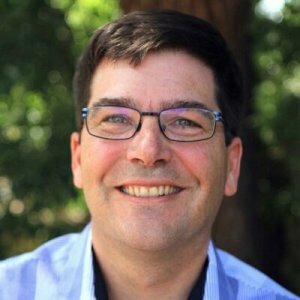 Steve, can you tell us a story about a startup that you chose not to invest in, why it was that you passed, and if there was a key learning that now informs your approach? Steve: Well, I do this as a hobby, not as a business. So…you know, I tend to invest in my students, just sometimes to keep score. It’s the wrong guy to ask that question—if I can, I’ll turn the question around and tell you a story about a VC who passed on me who then told me later a less he learned, would that be—? Steve: And then she said “Oh, the streets are paved with gold.” And I tell this story, not because it’s a Steve Blank story, it’s in fact an entrepreneurship story about Silicon Valley. Is that you know you’re in an entrepreneurial cluster, when the word for “failed entrepreneur” is “experienced.” A big idea. We in fact treat failure here—and honest failure—as experience. The good news is about investors, and you and your investor audience, you take battles—the entrepreneurs, they go after them….yeah, you might not return heir call after three or four failures in a row, but one doesn’t knock you out of the game. And that, in fact, is what makes this area great. We take that for granted. Other places in the world, you truly do have to change your name and your worried about people gonna go break your kneecaps for losing their money. That’s what makes this country great. It’s not just the great entrepreneurs, it’s in fact we have an entrepreneurial investor culture here that’s equally insane. The reason why Silicon Valley beat Boston, which wasn’t clear when I came out in the 1970s, is in the late 1970s when the pension funds were able to invest and the amount of capital started just by a factor of ten, if not a hundred, Boston still decided to act like bankers. But Silicon Valley investors? The Kleiners and the Sequoias? They started to act like goddamn pirates. And at the end of the day, the pirates won, and we built a risk taking financial culture here that didn’t exist anywhere else in the world. And I think the wisdom of that is evident of why we’re the preeminent center of investing. Nick: On our special segment series today, we have Dave Berkus. Dave, can you tell us a story about a startup that you chose not to invest in, why it was that you passed, and if there was a key learning that now informs your approach? Dave: Well…I have a story. Mine is one of many that happened because, as an early investor, I had rules that I created for myself, and one of those rules was—I had an airplane, a twin engine airplane, and even though fuel at that time was know where near what it is today, my rule was that I wanted to invest in a company that was close enough to be able to get to and from easily. So for me that was a two or three hundred mile radius from where I am, which is Los Angeles. And so I had a former employee who was my chief programmer of that seconding five hundred company, and he left me because he wanted to be a marketing person, and I couldn’t let him do that. He had twenty-six programmers working for him and he was responsible for thousands of hotels who looked to him for the vision that developed new software that gave them the competitive edge. But he wouldn’t listen, and he left me in 1990. This is—remember, I began investing in ’93. So he disappeared. And even though he as a close friend, I hadn’t heard from him during those five years. And suddenly, on August 26th, 1995, I receive an email from him—which I keep today, I have it on my desk right now and I’m gonna read you a little bit from it—and he had written this email to my AOL.com address. And for those of us that are sophisticated, we really have long since left AOL.com behind as our email address. Kinda tells you how long ago it was. So I’m gonna read you just a couple sentences from it. Nick: You’re kidding me. Wow! Dave: And so I wrote him back—remember my rules, Seattle isn’t close to Los Angeles—I said “Gee, Tom, great to hear from you! Keep me informed!” and so I asked my audiences when I can show them the letter. Actually show the original letter, which I printed out that day. I asked him how much the hundred thousand would be worth two years later at the Amazon public offering in 1997. And so—Nick, why don’t you take a guess. You’re my audience for the day. A hundred thousand, two years later, Amazon’s public offering was worth? Nick: Two years later… I’m gonna guess…twenty million. Dave: Thirty-three. Now you know that private investors are required to hold on for another six months before they’re allowed to sell their shares so that the public market isn’t inundated with these investor shares, but for the fun of it, let’s say we held on for one more year. Now it’s 1998, August 1998. What would that thirty-three million have been worth? Dave: Well today, during this bubble, you’re gonna hear people say they passed on some of these great companies that are in the bubble right now in the Silicon Valley. And also, they’ll tell you numbers that are bigger than this. So my number isn’t spectacular, but it does say that you are gonna be exposed to some deals that seem either outlandish or outside of your investment profile, and you’re gonna walk from them. And you just have to know, as I titled my TEDx talk, you can smile at your successes, but you better laugh at your failures. Nick: So do you still have the twin engine, two hundred mile rule? Dave: I sold the plane, I think, about seven or eight years ago. You gotta remember, the fuel went from two and a half to seven dollars per gallon and this plane was eating thirty-six gallons an hour just in a regular flight, let alone climb. And so as I looked at my investment portfolio, it wasn’t worth the price of the plane. And I miss it tremendously, but it was nice for forty-three years as I flew for that time.